Let’s start with the bad news. We probably can’t travel back in time and watch the Egyptians build the pyramids. In the last century scientists came up with a number of theories that suggested it is indeed plausible to take a leap into the future; going back in time, unfortunately,is much more complicated. But it’s not necessarily impossible. Albert Einstein laid the groundwork for much of the theoretical science that governs most time travel research today. Of course, scientists like Galileo and Poincaré that came before him helped, but Einstein’s theories of special and general relativity dramatically changed our understanding of time and space. And it’s because of these well-tested theories that we believe time travel is possible. One option for would be a wormhole, also known as an Einstein-Rosen bridge. Along with physicist Nathan Rosen, Einstein suggested the existence of wormholes in 1935, and although we’ve yet to discover one, many scientists have contributed their own theories about how wormholes might work. Stephen Hawking and Kip Thorne are probably the most well known. Thorne, a theoretical physicist at CalTech, even helped Christopher Nolan with the science behind Interstellar. So let’s just assume that wormholes do exist. In the late 1980s, Thorne said that a wormhole could be made into a time machine. According to Einstein’s theory of general relativity, a wormhole could act like a bridge though space-time by connecting two distant points with a shortcut. Certain types of wormholes, it’s theorized, could allow for time travel in either direction, if we could accelerate one mouth of the wormhole to near-light speed and then reverse it back to its original position. Meanwhile, the other mouth would remain stationary. The result would be that the moving mouth would age less slowly than the stationary mouth thanks to the effect of time dilation—more on this in a second. But there are several major caveats of traveling back in time with this method. Chief among them is the simple fact that we’d need a method for creating wormholes, and once created, the wormhole would only allow us to travel as far back as the point in time when it was created. So we’ll definitely never be spectators to Great Pyramids’ construction. The other really serious caveat is that we’d need a way to move one of the mouths of the wormhole nearly the speed of light. In their seminal 1988 paper on wormholes, Thorne and his colleagues assumed that “advanced beings [would] produce this motion by pulling on the right mouth gravitationally or electronically.” We can’t do that right now, however. What we can do is travel into the future—but only by a little bit. In recent years, we’ve seen some aspects of Einstein’s fanciful theories proven true. The latest and perhaps most exciting theory is the aforementioned effect called time dilation. Though we’ve based technology on the theory for decades, an experiment finally proved this year that time dilation is absolutely a real phenomenon. It’s also a phenomenon that could allow us to travel into the future. Time dilation basically refers to the idea that time passes more slowly for a moving clock than it does for a stationary clock. The force of gravity also affects the difference in elapsed time. The greater the gravity and the greater the velocity, the greater the difference in time. 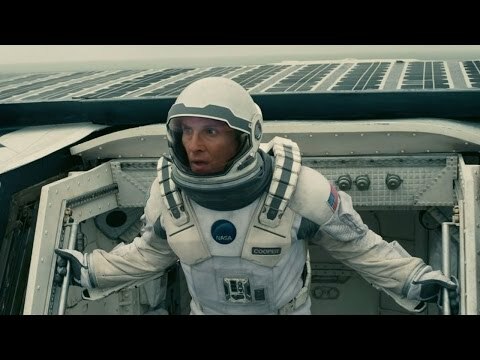 Black holes,like the one depicted in Interstellar, for instance,would produce a massive amount of time dilation, due to their extreme gravitational pull. Thanks to the space program, we’ve actually been dealing with this effect for many years. This is why the clocks on the International Space Station tick just a little bit more slowly than clocks on Earth do. Since the space station is moving so fast and is affected by less gravity, time moves more quickly. It’s also why no clock on Earth is perfectly accurate, since the effect of time dilation means that time moves more slowly closer to the planet’s surface. Okay, maybe one is almost perfect. A better example of time dilation at work involves GPS satellites. The GPS chip in your smartphone works because there are 24 satellites circling the globe at all times that triangulate your location based on how long it takes time-stamped information to travel to and from the device. However, scientists learned when building the system that the atomic clocks on GPS satellites do indeed run a little bit fast, since they’re moving 9,000 miles per hour in orbit. To be specific, they lose 8 microseconds a day. That’s hardly perceivable, but it’s enough to throw off the location data. And so GPS technology makes adjustments to the clocks on board to account for the relativistic effects. The equation used is kind of complicated. The implications of all this are huge. What if you took this to the extreme? If you jumped in a spaceship that flew super fast, time would pass more quickly for people on Earth. You could do a lap around the galaxy and return to Earth in the future. This is basically what happens inPlanet of the Apes. In effect, Charlton Heston’s character is a time traveler. The question remains, can we really take it to that extreme? And is it possible to go backwards through time, too? Once again, we don’t really know. Einstein’s theories tend to rule out rewinding time, but they’re still theories. It’s possible some future discovery could prove them wrong. As for the wormhole approach, we won’t really know exactly how that works until we try it, and at the moment, we don’t really have a feasible method for building a wormhole in space. If you’re really curious about time travel though, go see Interstellar. The science behind it is sound—if sometimes a bit fantastic—but the movie itself is very fantastic.